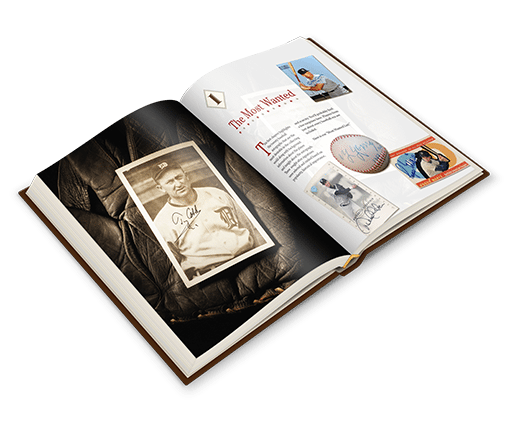 The 100 Greatest Baseball Autographs showcases the most desirable signatures in the history of our National Pastime while detailing the story behind the professional and personal lives of the men who signed their names on the sweet spot. You will find a complete overview of each featured player in this baseball collectors book, including individual autograph analysis along with the story of the man behind the autograph. PSA/DNA experts educate the reader in the specific characteristics of each of these special signatures and what to look for when hunting for the real deal. How many Mickey Mantle autographs were actually signed by clubhouse attendants? Why are there so few Joe Jackson signatures? Did Ted Williams water down the value of his own autograph by listening to his son? Selected by highly regarded autograph experts using criteria including rarity, historical importance, and popularity, The 100 Greatest Baseball Autographs features the most sought-after signatures in the hobby. 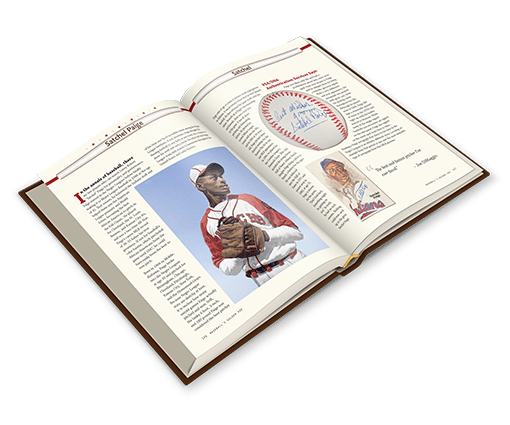 The players selected for this book represent a cross section of baseball history, from the very early years to the present. This beautiful coffee table format publication is illustrated with original autograph images on a variety of mediums along with corresponding player images to give a visual look at the player who signed that very desirable autograph. In some cases the player images appear on a period photo or baseball card, but in many cases the player images are original works by renowned sports artist Arthur K. Miller. Ellen Zappala is president of ATS Communications, a multimedia marketing and consulting company. Co-author of the award-winning books The T206 Collection: The Players & Their Stories, The Cracker Jack Collection: Baseball’s Prized Players, and The 100 Greatest Baseball Autographs, Zappala also worked with former welterweight boxing champ Tony DeMarco on his autobiography Nardo: Memoirs of a Boxing Champion. Zappala was publisher of a group of six newspapers in Massachusetts and New Hampshire for many years and served as president of the New England Press Association. She works closely with various publishing companies on behalf other authors, and handles publicity in both print and electronic media. She especially enjoys bringing the stories of the Deadball Era and Golden Age players to life.